The immediate areas near and around five schools of the South Euclid Lyndhurst School district will benefit from major traffic safety upgrades, including school flashers, crosswalk improvements and sidewalk enhancements totaling more than $410,000 from the Ohio Department of Transportation’s (ODOT) Safe Routes to School program. The SEL School District was notified of the funding just this past week from ODOT, who will administer the funds for the projects, expected to begin during the summer of 2014. The Safe Routes to School program is an initiative designed to assist communities in developing and implementing projects and programs that encourage children in grades K-8, including those with disabilities, to walk or bike to school. Funding includes the engineering and project development of a local or regional government’s plans for safe walking routes. Specifically in the SEL Schools, projects will include various improvements to sidewalks, crosswalks and pedestrian signals identified through the study, new bike racks at all of the schools, improvement of the traffic flow at Adrian’s drop-off area, a separation of bus and parent traffic at Memorial, a new exterior gym entrance at Rowland, further separation of bus and parent traffic at Greenview and better walking pathways tying into Brainard Park at Sunview. All of these projects, in addition to a bike rodeo and walk your child to school days, will be fully funded through this grant. “The SEL Schools is excited about this alternative funding from the state to help support various capital improvements that will keep our kids walking and biking to school, all while keeping them safe,” said district Superintendent, Linda N. Reid. Finalization of plans will be drawn and approved over the next twelve months before major funding is released by the state. The South Euclid Lyndhurst School District is proud to be a recipient of this grant, as only one third of the grant applicants were awarded a Safe Routes to School grant. 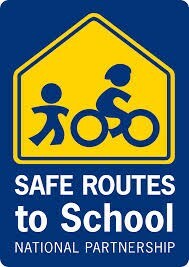 For additional information about the Safe Routes to Schools program, please feel free to contact the district at any time at 216-691-2000.